The Key Largo Chamber of Commerce has been a testament to the dedication and commitment of its members since the late 1930's when a group of Upper Keys business owners got together to discuss how to improve their business environment. The Upper Keys Chamber of Commerce became the Legendary Key Largo Chamber of Commerce in 1985. Key Largo is a renowned destination and has proven to guarantee an enthusiastic and positive response. Since its inception, the focus of the Legendary Key Largo Chamber of Commerce has been the promotion of the economy through support of good business, good government and good citizenship. 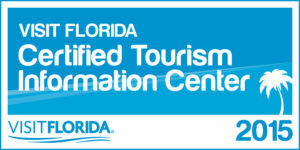 Key Largo Chamber of Commerce is host to the Florida Keys Visitor Center, which is endorsed by the Monroe County Tourist Development Council and recognized by Visit Florida as a trusted source of information when visiting the Florida Keys. The Florida Keys Visitor Center is located at mile marker 106, one-half mile on the Bayside after you enter Key Largo on U.S. 1. 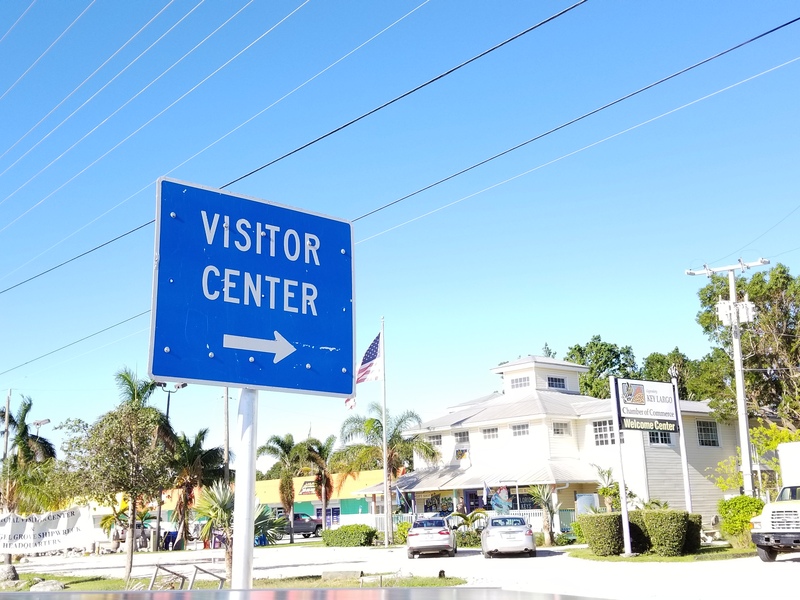 Look for the official Chamber of Commerce “Welcome Center” and the FDOT blue Visitor sign. The Visitor Center offers information about the entire Florida Keys. Brochures and maps are available for accommodations, attractions,diving and snorkeling, fishing, dining, weddings, nature and ecology tours, shopping, water sports and, of course, there are clean restrooms. At the Visitor Center, you will be introduced to fascinating and informative displays that includes 1700s-era British cannon, one of 13 cannons found in a reef patch offshore of Key Largo. And coming soon, join us for a Virtual Scuba voyage and interactive exhibitions exploring our Eco-System and the pristine waters sounding the Florida Keys. Daily accommodations and rates are available and there is no commissions or gimmicks; we are pleased to assist with reservations or get information about the center's participants. Information about special events is available as well as phone books and newcomer information. The Visitor Center is open 7 days a week from 9 a.m. to 6 p.m. (closed on major holidays). Call us at 1-800-822-1088. Our knowledgeable staff has 200 years of Keys' experience. Let us help you with your Florida Keys plans -- whatever they may be. The Key Largo Chamber of Commerce works closely with all local organizations and institutions to improve the quality of life for all. We interact with government on the local, state and federal levels on issues of importance to the business community. The Key Largo Chamber of Commerce is active in all aspects of community life, and through various projects and committees, our members show they share the Chamber's commitment to community and business service. The island of Key Largo and the Florida Keys as a whole relies totally on its major industry - tourism. The Chamber promotes the importance of maintaining and enhancing this industry with the knowledge that all businesses in the community benefit from a thriving tourist economy. Every dollar spent by a visitor for accommodations, attractions, dining or shopping filters down to our accountants, attorneys, bankers, contractors, electricians, hairdressers, insurance agents, painters, physicians, veterinarians and on and on. The key to the Chamber's future success lies in the membership. Let the Chamber know about your business concerns and allow the Chamber to demonstrate how it can serve you. The members define the direction of the Chamber, and your voice needs to be heard. Join us as we endeavor to bring a healthy, happy, successful working environment to the community in which we live, and prosperous future to each and every one.